Ittsa provides interprovintial bus services to destinations along the northern coast of Peru. It’s definitely worth considering for trips along the north coast, especially if you choose its more expensive services. The company was founded in 1992 and over time has become one of the most established operators in the north. The company operates entirely to the north of Lima, with no routes in the southern half of the country, not even along the well-trodden “Gringo Trail.” Heading north from Lima, Ittsa first stops at Chimbote and then goes on to Trujillo and Chiclayo, two of the main destinations along the Panamericana Norte (Northern Pan-American Highway). Further north, the remaining destinations are Piura, Sullana, Paita, Talara, Mancora and Tumbes. So if you’re looking to explore the Moche archaeological sites of the north coast, the beaches near Mancora, or the mangrove forests of Tumbes National Sanctuary, Ittsa can help you get there. Ittsa offers three classes of bus: Súper Cama, Sofá Cama and Semi Cama. Súper Cama is the premium service and the most expensive. These buses have fully reclining (180 degree) bed seats, with only 32 seats spread out over two floors. They are spacious, air conditioned and have personal TV screens for each seat for watching onboard movies. Each seat also has LED lighting, headphones and sockets for recharging cellphones and other devices. The air conditioned Sofá Cama buses have seats that recline to 160 degrees, with a total of 40 seats on two levels. The buses aren’t as spacious as the Súper Cama class and don’t have individual TV screens etc. But if you want to save a little money, it’s a good alternative. The Semi Cama buses are more economic, but not as comfortable. The seats recline to 140 degrees, with 56 seats on two levels. They pack in a lot more people, so you’ll have less space and often more noise. Unless you’re on a really tight budget, it’s always worth paying more for a Súper Cama or Sofá Cama bus. As an example of the price difference between services, a Semi Cama bus from Lima to Trujillo costs S/ 60 ($18) while a Sofá Cama costs S/ 80 ($24). All of Ittsa’s buses, no matter the service, have two drivers who rotate every few hours to avoid fatigue. The buses also have GPS systems which limit the speed to 90 kilometers per hour (56 mph). Passengers are only collected at designated terminals, so security on board is normally good. Ittsa has a good safety record in general. In the 2017 Accident Participation Index published by SUTRAN, Ittsa did not feature among the 50 Peruvian bus companies with the worst accident records that year. Should you travel with Ittsa? Ittsa is a viable option for traveling along the north coast of Peru. 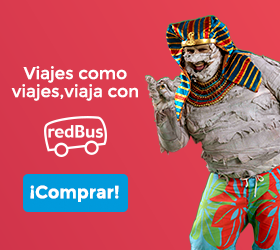 It doesn’t have as good a reputation as rival companies such as Cruz del Sur, TEPSA, Excluciva and Oltursa, but it’s not a bus company you should avoid. This is especially true for the Súper Cama and Sofá Cama services, which are comfortable and safe. It’s always worth upgrading from the standard Semi Cama service whenever possible, especially for longer trips when you need to get some sleep. In terms of price, Ittsa’s Súper Cama and Sofá Cama services are competitive with other major bus companies. For example, while you’ll typically pay between S/ 60 and S/ 80 from Lima to Trujillo with Ittsa, the same ticket with Cruz del Sur is normally between S/ 95 and S/ 115. So if you’re on a backpacker’s budget, Ittsa is definitely worth considering.